When first published in 2008, The New Peasantries revolutionized our ways of thinking of what constitutes the peasantry and repeasantization. It showed how a new era of empire and globalization was creating new forms of peasantry. This new edition is thoroughly revised, with a reorganization of chapters and several new chapters added. It includes a new chapter on China, based on the author's extensive fieldwork there, and much more information on Brazil. 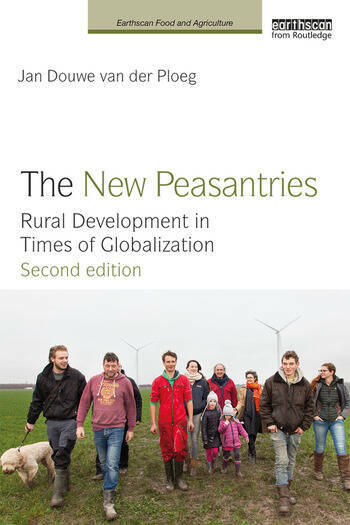 It integrates and critically reviews the many publications on peasants, peasantries and peasant modes of agricultural production published in recent years. The theoretical discussion is enriched with more attention to the seminal work of Chayanov. Greater attention is also paid to the construction of new markets – a theme that will remain a major issue in the coming decade. It combines and integrates different bodies of literature: the rich traditions of peasant studies, development and rural sociology, neo-institutional economics and debates on empire and globalization. The original book has been used in several international postgraduate courses. The experience and feedback thus obtained has been used to simplify the structure of the book and make it more accessible as a textbook for students. Jan Douwe van der Ploeg is Emeritus Professor of Rural Sociology Group at Wageningen University, the Netherlands, and Adjunct Professor, College of Humanities and Development Studies at China Agricultural University in Beijing, China.